Check n’ Go is a financial service provider that specialize in loan lending. Offers include installment loans, payday loans, cash advances, check cashing, prepaid cards, western union and more. The first ever Cash n’ Go store was established in 1994 in Covington, Kentucky by founder and former CEO David Davis. Their current headquarters is located in Montgomery Road Cincinnati, Ohio. Check n’ Go is considered as the 2nd largest provider of short-term loans in the United States. The company currently has over 3,000 employees and operates within over 1000 store locations in 31 states in America including Alabama, California, Delaware, Florida, Idaho, Illinois, Indiana, Iowa, Kansas, Kentucky, Michigan, Mississippi, Missouri, Nebraska, Nevada, New Mexico, Ohio, Oklahoma, Rhode Island, Tennessee, Texas, Utah, Wisconsin, and Wyoming. They also operate online in selected states. The financial service lender prides itself for their good pay and the benefits they provide their employees. They cover health, accident, disability and life insurance as well as maternity leave and some pension options. Employees can also apply for 401(k) retirement plans. Some activities such as trainings and seminars even entail covered expenses and bonuses. Former and current employees shared that Check n’ Go offers a fun working environment. They also commend their superiors and label them as great leaders. They further stated that working for the company is a good place to become a team member which will then teach you how to work your way to the top. The pay was also one of the things they are happy about. According to one employee, working for Check n’ Go was described as easy, fun and rewarding. How old do you have to be to work at Check n’ Go? Check n’ Go has an age requirement of 18 years old and above. They accept applicants with little to no work experience and offer them entry and middle level positions. Managerial positions can also be offered by the company if applicant greatly suits the job. The increasing number of stores means more workforce needed by the company. Check n’ Go is looking for people who will pursue entry job level positions and will man their branches but, if you are highly qualified, corporate positions are also open for applications. Shifts often range between 10-12 hours per day. You might be interested in the following vacant positions listed below. Customer Service Representative: This position requires little to no work experience as this is considered as an entry level position. Responsibilities of this position includes monitoring of daily operations of one or more retail locations. A customer service representative is also responsible for site operations, sales, customer and customer service. This position requires great leadership, communication and conflict resolution skills. Customer Service Support: The main role of this position is to provide assistance to clients. Responsibilities include responding to customers’ complaints and queries regarding loans and other services, processing customer loan applications, promoting product offerings to customers, assisting in the daily upkeep up of store premises and opening and closing of the store. Banker: Bankers are considered the face of the company since they are the ones who interact with customers the most. Some of the duties in this include explaining potential customers the services they offer, processing of transactions, providing customer service and more. Store Manager: This position requires great leadership skills. Store monitoring and decision-making will be done majorly by this position. Duties include cash handling, marketing, and keeping the store’s records. Reports from employees and complaints from customers must also be taken care of by this position. They may also hire and train applicants if deemed necessary. Retail Sales Associate: A retails sales associate is responsible for all sales activities and sales associate job duties. This position is also liable in the promotion and marketing of the service, provision of assistance, providing product information and more. Sales Manager: A sales manager is responsible for implementing marketing strategies and monitoring sales performance. Its duties include developing and meeting sales quotas and projecting annual sales and profit of the company. Assistant Store Manager: An assistant store manager’s role is to basically share the responsibilities of the store manager. The position entails almost the same tasks and activities shouldered by the store manager. At times when the store manager is out of the working place, the assistant store manager must step out for him/her. District Director of Operations: As part of the Board of Directors, the position has voting rights in the company. Aside from this, he/she is also responsible for planning, evaluating, operating and directing the operations within his/her designated district. Area Manager: This position requires the employee to run all the stores in a particular area. The area manager is responsible for monitoring all the stores covered by the area and how well they are performing. Duties also include decision-making for marketing, sales, approval of loans, conducting meetings, and many more. Financial Reporting Specialist: A financial reporting specialist is responsible for creating the company’s financial statements, balance sheets and other financial reports. An employee in this position must also ensure that all statements and reports are accurate and thus adhere to the Generally Accepted Accounting Principles (GAAP). When applying for any job position in the company, you can choose to either submit your application online or in person. After submitting your application form, then you can wait for their further announcement for interviews or credential submissions. If you have received no response, then you can follow up your application by contacting their hiring staffs. There are many job portals online that accept applications for Check n’ Go, but you can also directly visit their company website and send your applications in there. Applying will require you first to either log in, create an account or connect your LinkedIn account to the company’s website. You can also personally submit your resume at any of their branches or contact their hiring managers through their phone number, email or social networking sites which can also be found in their website. When filling out their application form, make sure to provide accurate answers. Take your time in answering and double check everything before submitting to avoid misinformation. Try your best to make your penmanship as neat and as understandable as possible. In making your resume, make sure to avoid the inclusion of skills and competencies which are not connected to the nature of Check n’ Go as a company. Highlight your knowledge and experience in financing, management and banking. Including excellent academic performance, awards and recognitions are also some great ways to get hired. Aside from your technical skills, also try highlighting your soft skills and business ethics. For the interview, make sure to wear a formal attire. Manners is one of the things your employers will highly observe. Make sure to greet everyone in the room as soon as you enter and remain polite all throughout the interview. During the interview itself, keep your answers as short and as direct as possible. 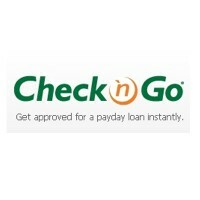 Check n’ Go is a direct payday loan lender. It aims to provide credit solutions for their customers. This is why they offer a wide variety, and even rare, types of loans. The company has already served over 50 million loans and still counting. Because of its excellent service, Check n’ Go has always been considered as a top leader in loan lending in America. Check n’ Go is greatly known for its payday loan. But aside from the loans they offer, they also known for the convenience they provide their customers in terms of lending loans. The company is appraised for providing easy, fast and secured short-term loans. Check n’ Go also engages in CSR activities. In the span of one year, it has distributed over 10,000 child photo ID kits for the National Center for Missing and Exploited Children (NCMEC). Just recently, a group of Check ‘n Go employees got together to assemble bicycles, as part of a national campaign that has donated 12,000 bikes to disadvantaged children. 1 How old do you have to be to work at Check n’ Go?